Garden lighting is the best way to get the most out of your outdoor landscape as the time put in to create a spectacle should be one to be given the best chance to stand out. Outdoor lighting is one of the best spectacles that can easily be created, and one that is much cheaper in comparison when looking at the many ways of tending to the landscape. 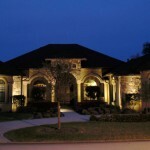 When looking at the many ideas that you may consider, reading this article will help you get the most out of your outdoor landscape while making it much easier to get the most out of the lighting that you may choose. With the many areas within your yard to consider placement of garden lights, some of the most popular locations are the areas that will receive the most attention. Lighting up the front facade, any area where entertaining at night is sure to happen, any walkway such as a pathway to the front door, and any home garden filled with beautiful flowers are some of the most popular choices. Taking a step back and looking at your landscape during the day while considering the amazing illumination effects will help you get the most of any garden lighting. With the many garden lighting ideas such as different fixtures as hanging, ground placed, and suspended in the air, different illumination effects can be created. The most prominent of outdoor lighting fixtures is that of placing them in the ground and automatically powered on when the sun goes down and shuts off when the sun comes back up are the one’s that we typically see. These garden lighting ideas all have different brightness, durability, and some types may last longer then others as the many forms to choose from are as follows. Solar lights in any home garden is a great enhancement as the solar powered lights have a battery standard that is powered on and then shut off in unison with the sun. The in-closed battery is charged and recharged daily and can provide a bright illumination effect that can light up a pretty good area within the garden. Garden LED Lights gives you the best illumination effect as they are much brighter and will last up to 10 times longer then Solar lights. LED Lights are becomingly increasingly popular as the are replacing what has become the standard of Solar lighting. Choosing the Garden LED lights for your home garden appropriately as you may want to try different types of lights in different areas until you get the effect you are wanting. Besides the standard clear garden lighting, you will also find that there are also different colors that can easily be chosen from such as red, blue, green, orange, yellow, and other colors for more of a unique look that may just give you the character that may have been lacking. Garden lighting is the best way to give your landscape the look that it so deserves as all the time in creating the perfect spectacle in your garden is one that deserves to have the look at night. Brighter lighting at night such as garden LED Lights are sure to impress as the most important opinion when it’s all said and done is yours, as the perfect garden lighting ideas is only this way if viewed as so in your own eyes.